A Tribute to Yip Harburg. 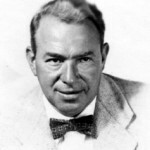 From “Footlight Parade,” a nationally syndicated program hosted by Bill Rudman, this 50-minute broadcast from Spring 2003 features an interview with Ernie Harburg and several recordings. This recording is not a commercial product and is available only from The Yip Harburg Foundation.